Laser die cutting services have revolutionized the way signage, collateral materials, and corporate branding is conceived and created. A laser die board cutting machine uses precision technology for a no-contact process that cuts and etches innovative and intricate designs for print mediums quickly and accurately. Laser die board cutting machine can allow businesses to create products and marketing materials without the hassle of hard tooling and time-consuming handwork. With laser die cutting services, business cards can become much more than wallet fillers. You can die cut your cards in the shape of an object or idea that represents your business. For example, a restaurant can have a salad-bowl-shaped card, while a data analytics company can design their card in the shape of a line graph. By adding engraving, foil effects, and other types of print finishes, you can create a business card that will truly wow potential customers and clients. Laser die cutting adds unique charm and class to all kinds of invitations. 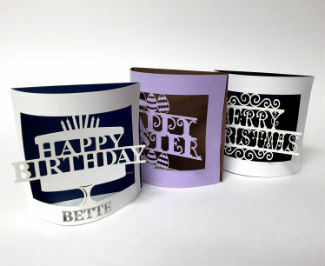 You can die cut holiday-themed designs, buildings, animals, and typography to fit the occasion and your corporate identity. A well-thought-out and well-crafted laser die cutting invitation for corporate events and fundraisers can help customers and clients connect with your brand and stay top-of-mind. For weddings, you can have intricate, sleek designs that reflects the elegance of the event. Laser die cutting can draw attention to important words or messages in booklets and brochures. You can also use it to make covers pop and draw readers in and get them to engage with your business. While this adds another step to the production process, most laser die board cutting machines are built for fast and efficient processing. With laser die cutting, you can even design impressive box wraps, shipping containers, and product cases. Whether customers shop in store or online, they’ll come into contact with the packaging before they get to your actual product. The quality of a packaging design can accentuate your brand image and help you stay at the top of customer’s minds. Precision laser technology lets you create sharp, smooth signage and logos for your stores and offices. These designs make it easy for new customers to find your building and impress visitors or clients who stop by or take tours. Potential customers will associate your innovative sign and logo with innovative solutions. The versatility of laser die cutting makes it ideal for not just paper, but also plastic, metal, wood, acrylic, and other materials. You can use this versatility to create keychains, charms, and other promotional materials you can hand out to customers at your next trade show or event. From laser die cutting business cards to booklet covers, these six eye-catching laser die cutting print projects will impress your audience and help you stand out from the competition. 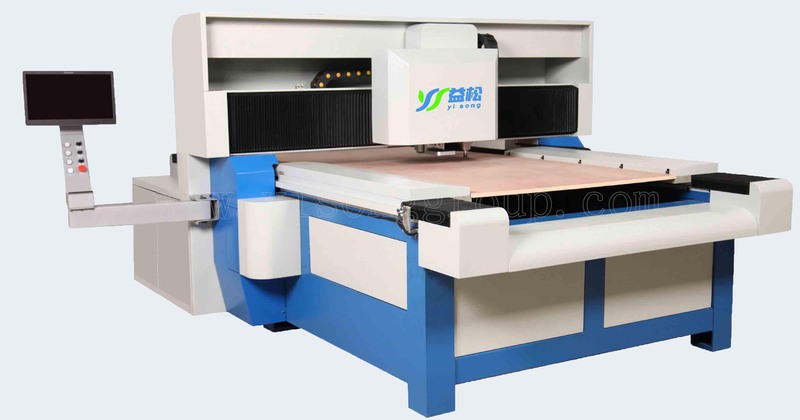 Here we released Yisong die board sawing machine, no laser cutting, we use saw blade to cut, the cutting precision and accuracy is higher than laser die cutting, it can help you make high-end printing & packaging products and get more orders from customers. < How to Deal With Your Old Laser Die Board Cutting Machine?